Gregory Mountain Products, often referred to as simply Gregory, is a brand with a colorful history beginning in 1977. 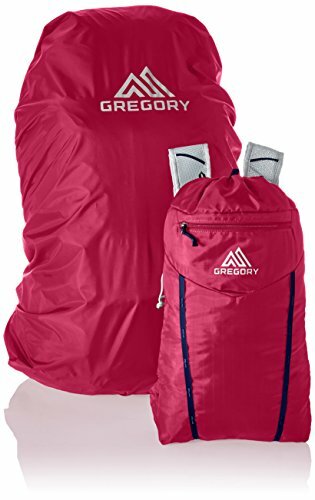 Gregory’s founder, Wayne Gregory, always had the goal of creating backpacks that were innovative, comfortable and ergonomic in design. The reputation of producing quality, durable and original backpacks has only continued. Award winning Gregory backpacks come highly recommended by both amateur and serious outdoorsman alike. Women will also be thrilled to know that their needs have been kept in mind with Gregory’s female-specific anatomically ergonomic bags. One of these bags is the Deva 60. The Deva 60 is a recent award winner and you’ll be hard-pressed to find anything but glowing praise for this model. Women who are tired of having a sore back and uncomfortable hot spots on their shoulders from inferior backpacks can rest assured that this bag will fit like a glove and wear as comfortably as they could want. 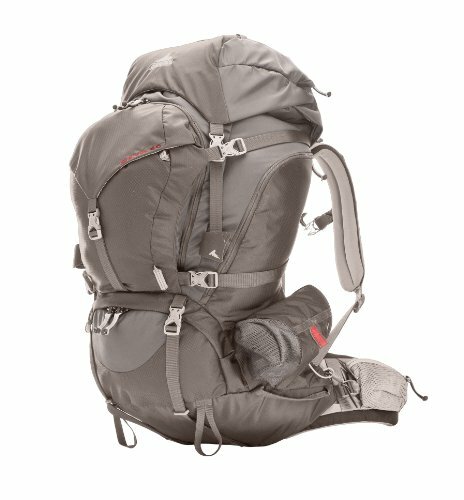 With this list of features it’s no surprise that the Deva 60 is so highly praised and is an award winning backpack. Features aren’t everything though, but don’t worry. The Deva 60 performs just as perfectly out in the field as it sounds in text. As a winner of Backpacker Magazine’s 2015 Editors’ Choice Gold Award, it goes without saying that this backpack really has a lot going for it. The very foundation of this backpack’s design has set it up to succeed. Gregory’s AFS Suspension is not just a pretty piece of technology, but really a system that is quite impressive. Women are anatomically different than men and move differently than men. These anatomical differences mean some women, particularly those who are more petite, find that unisex or men’s backpacks are uncomfortable after some time of wear. The AFS suspension system solves this issue easily. The molded EVA back panel is rigid enough to offer plenty of support. The additional lumbar support pad not only keeps the backpack in the right place but also ergonomically holds your back in proper posture for hiking. This lumbar pad is also treated with a special “elastomeric gription” technology to prevent slipping, even if the wearer may be wearing only a thin shirt or a sport’s bra. Moving to the access points and general storage of this backpack, the Deva 60 continues to impress. As mentioned earlier there are 3 access points to this back. The main compartment access has a drawstring closure which makes it easy to open up quickly. The top lid of the backpack is removable if you need to drop weight but makes for a handy area for storing little gadgets. A very cool feature of this backpack is that the top lid isn’t just removable but versatile- instead you can configure it into a fanny pack. Aside from the main compartment there is a large front pocket and dual pockets on the sides as well as on the hip belt. 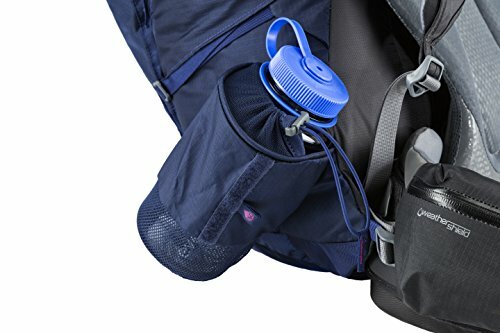 Special water bottle pockets are hidden away from view and cinched down with bungees so you won’t need to worry about a bottle falling if you bend over or lose your footing. The DDR and flat weave nylon fabrics of this backpack are light weight but not weak. 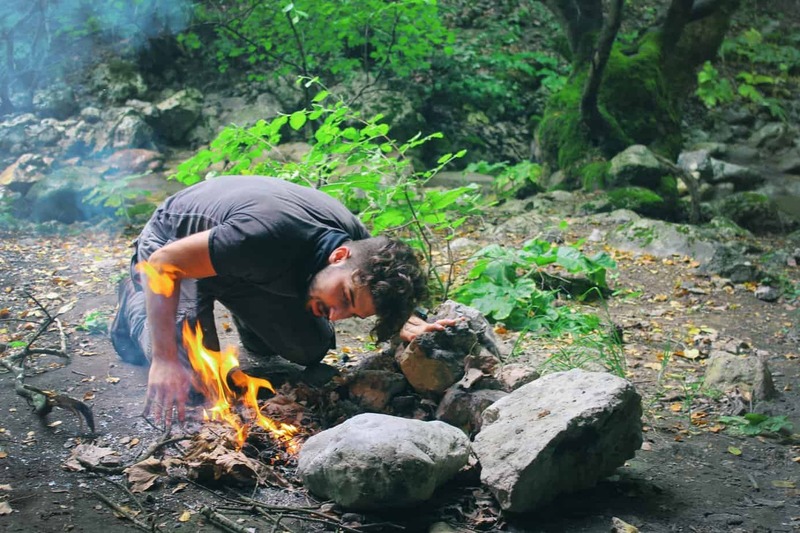 You can expect the Deva 60 to hold up very well to abrasions and snags. The close knit weaves help prevent stains and also helps to repel water. This bag doesn’t come with a rain cover so you should expect to buy one if you often hike in wet weather as the shell of backpack is only somewhat water resistant. The zippers on this backpack are all DWR coated to help prevent water from entering any pockets or compartments. The bottom panel of this backpack is made from two layers of wear-resistant fabric which also offers a little water protection if you need to set the backpack down on dewy grass or other light moisture. Most of these downsides pertain to special circumstances and the average woman will be more than happy with the Deva 60. If you have concerns it is always a good idea to contact Gregory customer service for help. 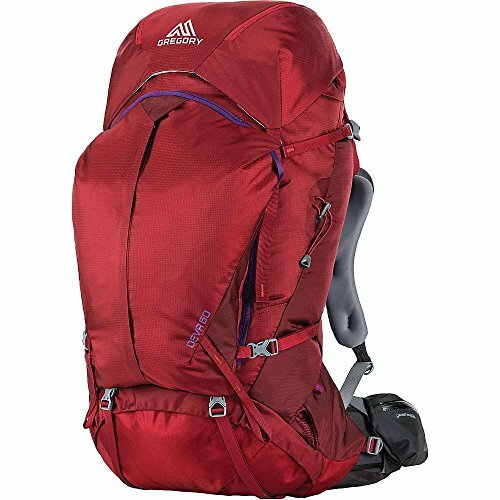 The Deva 60 is really made to please women who are tired of ill-fitting backpacks will be thrilled with this model. If you need a weekender backpack or one for week long trips with ultra-light gear, take a moment to check out the Deva 60. You can see here (For the latest prices and discounts, check here).